I completely refuse to put my white jeans away around the cold weather months and with that attitude, I came up with this tomboyish look. 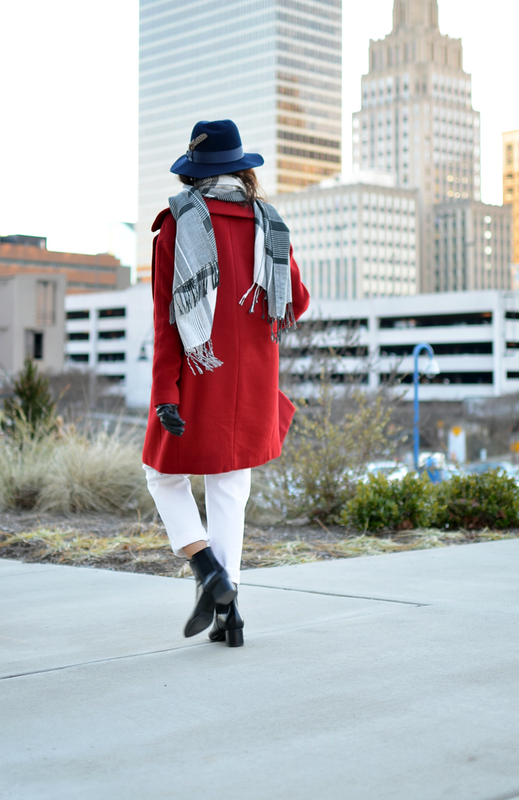 I wanted to be comfortable and warm, so I decided to wear a pair of lower heel booties, cocoon wool coat and my boyfriend's scarf and belt. 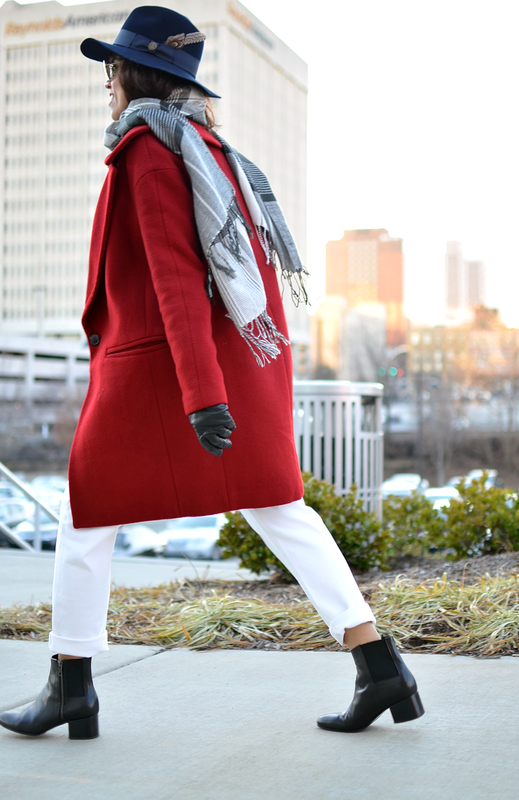 The wool hat and aviators were a must in order to accentuate even more the boyish style. Me niego totalmente a guardar mis vaqueros blancos en los meses de clima más frío y con esta actitud se me ocurrió ponérmelos de una forma masculina. Yo quería estar cómoda y cálida, así que decidí usar un par de botines súper comfortables, un abrigo de lana estilo capullo y una bufanda y cinturón de mi novio. El gorro de lana y los aviadores eran una necesidad con el fin de acentuar aún más el estilo masculino. Pendant and chain/Pendiente y cadena: Vintage. I love your outfit, you look wonderful! The coat is gorgeous, I have a similiar one and I love this color so much! Thanks!! I love this color very much myself. I love red with white - it always looks so classy but not boring! I agree!! You can't go wrong with this combo.